He is one of a few such robots in the world. He is filled with an up-to-date technology and one of his skills will be aprreciated by fans of some good spirits. What is it all about? Take a look at BarOn, humanoid robot, a pride of Weegree One company. Programmers from Weegree One speak openly: BarOnto is a worldwide success. He has two flexible and particularly handy shoulders that thanks to advanced strenght sensors have exceptionally sensitive grip. He is equipped with localization system which affects its precision of work. You’re yawning with boredom, because robotics is not your thing? BarOn can do much more, for example…. prepare delicious cocktails. Bloody Mary, Scotch with ice, Cosmopolitan or maybe something non-alcoholic? Not a problem. Being a pride of IT department, the robot will fulfill any wish quick, skillful and without blinking an eye. He doesn’t get tired, can stand behind the bar up to dawn always putting his clients’ satisfaction first. He never makes mistakes and measures the amount of alcohol with a pharmacy precision. 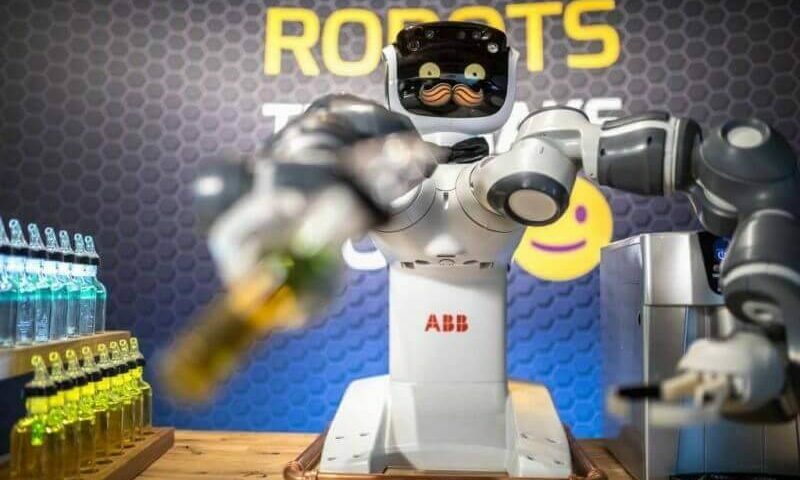 Does it mean that in a few year perspective we will face a technological revolution which will cause a total replacement of humans behind the bar with robots? 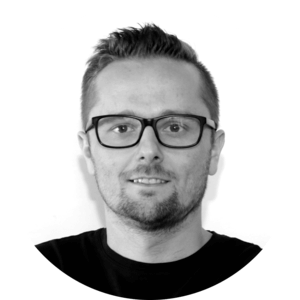 Łukasz Dudek, Chief Robotics Officer from Weegree reassures: “There’s nothing to be afraid of. No automated device will replace the relation with a real human, who will listen to you and tap your shoulder. I don’t think it will ever change. Even the robot’s name BarOn has a humanoid sound – it roots from a popular english name and a noble title. At the same time it is a combination of words Bar and On which suggests that he is constantly ready to act, especially in terms of mixing cocktails”. 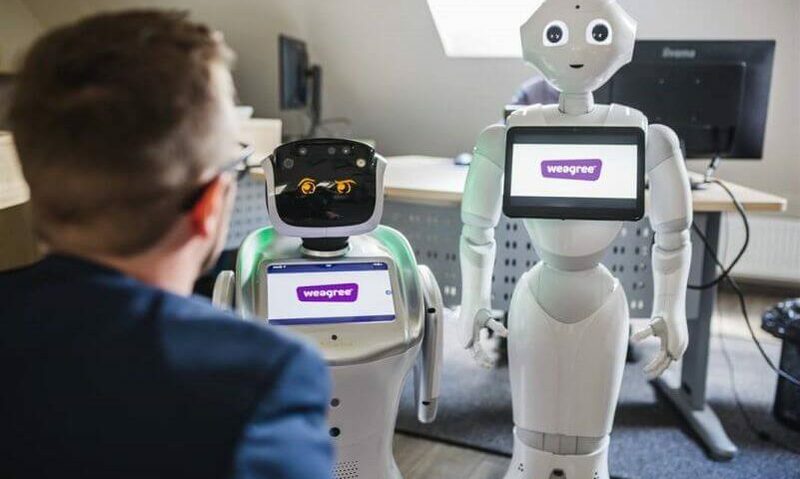 Grzegorz Kuliś, CEO of Weegree being asked about the robot’s advantages laughs: “BarOn is able to listen to any story, not every bartender who I have met in my life, was ready to do that”. Then he adds: “Robots are an interesting trivia. Their goal is to spice up for example business meetings, conferences or fairs and attract the attention”. With this task BarOn copes really well – the research shows that 92% of people that come into contact with him are thrilled with his actions. 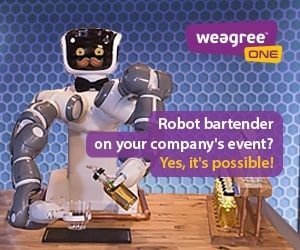 No wonder that more and more enterpreneurs looking for extraordinairy ways to diversify their business events decide to invite humanoid robot BarOn. “This is one of the most effective ways to impress not only your co-workers, but above all your competitors” jokes Kuliś. Have programmers from Weegree One found the best method to make the story of your company Christmas party go viral?